Catch Monsters is an adult re-imagining of Pokémon that focuses on a deeper single player experience. It combines an open world RPG adventure with Hearthstone-esque CCG mechanics. Catch Monsters was a passion project that I attempted to get crowdfunded on Kickstarter. I worked alone on the game and created a demo, video, and Kickstarter page in about 2 months. The campaign raised over $4000 but did not reach the funding goal of $6000. I am still continuing work on the project but at a slower pace. 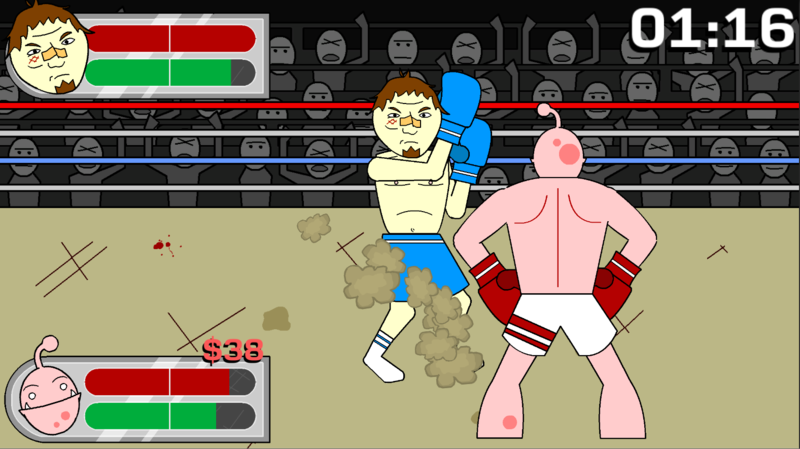 Coach's Quest is a boxing game in which you train your AI pupil to fight based on positive or negative reinforcement. It includes a small amount of RPG-like stat and currency management. I designed, programmed, and created art assets for Coach's Quest myself. It was created for a fourth year game development course at Queen's University. Coach's Quest was developed in Unity3D with C# and I used Flash and Photoshop for the art. The game was featured at a university Creative Computing Show. Love Letter Online is a small, not-for-profit, tribute to Alderac Entertainment's strategy card game Love Letter. The game will eventually include a lobby where a host can start a game and players can join. If there are less than four players, AI's will fill in the missing places. THIS IS A WORK IN PROGRESS. I designed, programmed, and created art assets for Love Letter Online. This is a hobbyist side project that I created out of a love for the physical card game. As with most of my own side projects, it was created in Unity. A Friendly Card Game is a multiplayer trading card game that procedurally generates cards based on the user's Facebook friends. 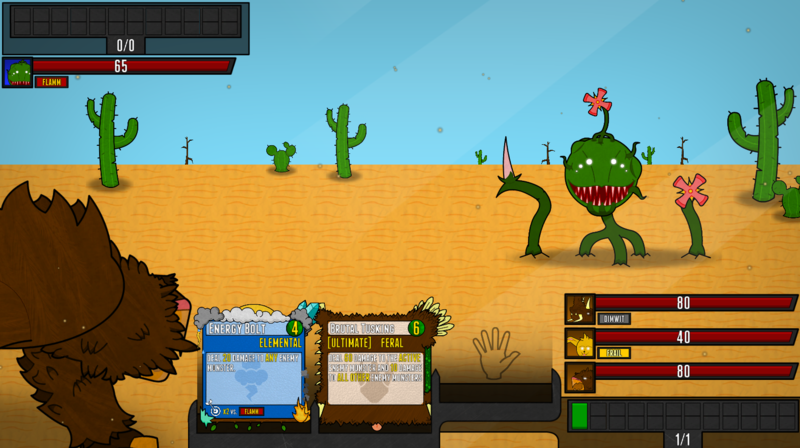 The ability and weapon of each card is determined by the user's "likes". I was the lead programmer for A Friendly Card Game and contributed to the 2D graphics of the game. I also designed the algorithm that assigns a friend a weapon and ability based on their Facebook likes. 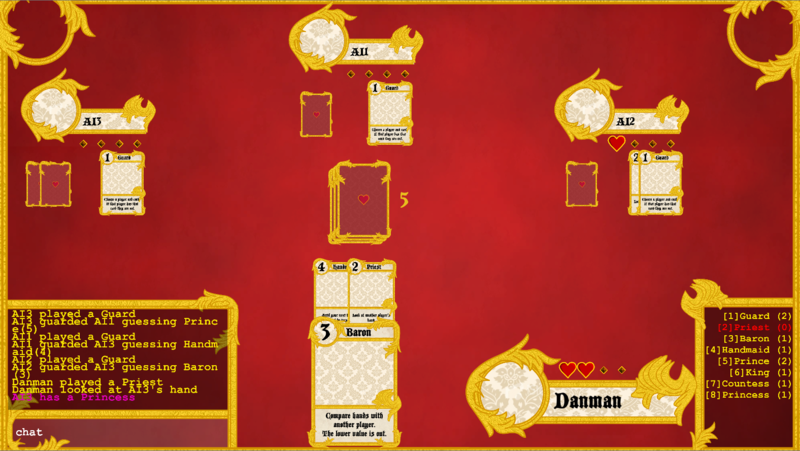 A Friendly Card Game was developed in Unity3D using C# and the Facebook Graph API. The game was a University project for a fourth year game development course at Queen's University. My group received an A+ for the project. 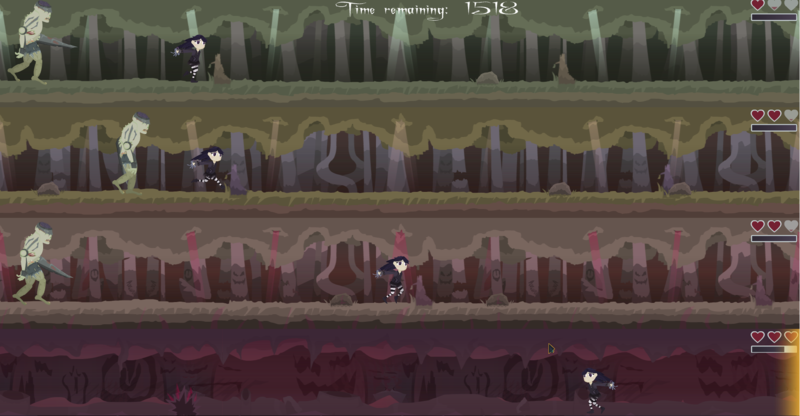 Joy's End is an infinite runner in which the player must manage up to four runners at once in a macabre fairy tale setting. Joy's End was developed in Microsoft Visual Studio using XNA and C#. I was the sole programmer and co-designer of the game. Joy's End was a University project for a game design course in second year.